Watching a football match last Sunday (I am not a football fan, but it was a World Cup game) made me think about why the subject of magnesium for sport needs to be talked about a lot more. As I was watching the players’ faces twisted in painful agony I was thinking how magnesium oil could help them with the cramps in a matter of minutes. I was just hoping that they were literally drenched in magnesium prior to the matches because they would certainly be depleted very early in the game if they hadn’t done it. Magnesium plays a vital role in our lives. It is an irreplaceable component in the production of energy from ATP – the molecule which provides energy for all body processes and movements. If magnesium is depleted there is not enough of it for energy production which means that metabolic processes do not get sufficient energy, so general metabolism slows down resulting in energy slumps. Even though magnesium is the most powerful relaxant, without it the energy production is impossible. An increase in magnesium levels in the body results in an increase in general energy and performance. Another important function of magnesium is connected with its interaction with calcium in the body. Calcium ensures muscle contraction, and an excessive amount of calcium leads to muscle spasms, cramps, muscle tension, tightness in the joints. If calcium ensures contraction and strength of the muscle then the role of magnesium is to relax all body tissues, including muscles, nerves, the brain, heart, blood vessels, etc. Needless to say that insufficient magnesium results in all over rigidity and stress. If there is too much calcium circulating in the body it binds with fat in the blood with the potential to form atheromas leading to narrowing of blood vessels, increase in the blood pressure and danger of them breaking away and blocking the arteries. Lack of sufficient magnesium reduces the elasticity of the blood vessels resulting in arteriosclerosis, which is also a contributing factor towards high blood pressure. Athletes are especially prone to magnesium losses and resulting deficiency which can lead to reduced performance, muscle rigidity, tetany, cramps, decreased endurance, general weakness, as well as an array of cardiovascular problems such as an increase in blood pressure, arrhythmia and rigidity of the blood vessels. While short high-intensity exercise leads to an increase of magnesium levels (hypermagnesemia), due to a shift of magnesium from the cells into the plasma as a result of acidosis and a general decrease of plasma levels, prolonged exercise leads to depletion of plasma magnesium (hypomagnesemia). A few reasons for magnesium losses during prolonged sports activities have been suggested. 1. Lipolysis (fat metabolism). Fatty acids are mobilised for energy production during exercise which leads to magnesium deficiency. 2. General physical and psychological stress on all body systems during prolonged exercise. 3. Loss of magnesium through sweating – this normally happens in humid hot conditions. 4. Loss of magnesium in urine during intensive short-term exercise activities. Magnesium losses are especially substantial during periods of training for sporting events. Magnesium deficiency may play a role in sudden death syndrome in sports people resulting from a cardiac arrest (heart attack). As we have established earlier, a fall in magnesium levels in sports people can lead to an increase in cholesterol, blood sugar levels, and rigidity of blood vessels which in turn results in an increase in blood pressure and may in some cases explain sudden death in athletes. All this brings us to a conclusion that it is extremely important to replenish magnesium levels in athletes, especially during prolonged sporting activities and competitions, to prevent a slump in energy levels, general fatigue, reduction in performance, muscle tension, aches and pains and speed up recovery. 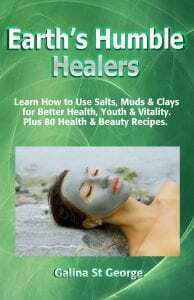 How can magnesium levels be replenished? 1. Diet – magnesium-rich foods include whole grains, soy products, nuts and seeds, legumes, fruit and vegetables, milk, eggs, seafoods, etc. 2. Oral supplementation. Dr M. Seelig who is an internationally recognised expert in magnesium studies, recommends supplementation of 6-10mg per 1kg of body weight per day. There are a lot of good sources of oral magnesium, such as magnesium orotate, magnesium citrate, etc. 3. Intravenously – injections. A very effective method, but is used in clinics in cases of severe magnesium deficiencies where it is important to raise levels of magnesium quickly. 4. Transdermal supplementation – a quick, efficient and very practical way to replenish magnesium levels which can be used by everyone. A problem with oral supplementation is that large doses of magnesium can cause diarrhoea which leads to magnesium excretion from the body. Also, not everyone’s digestive system is efficient and can absorb sufficient doses of magnesium. Transdermal methods of supplementation (spraying or rubbing magnesium on the body, magnesium massage, bath, foot bath) on the other hand ensure that the digestive system is bypassed and magnesium gets into the body via the skin thanks to its very important function to absorb. Transdermal supplementation can be achieved by applying magnesium oil on the body by hand (e.g. massage) or using it in a bath or foot bath. While magnesium oil is great when used in a spray or applied by hand, for a bath or foot baths magnesium chloride flake is the most economical product. Zechstein magnesium flake is one of the best magnesium products around. Magnesium oil is a great massage medium, and magnesium massage is one of the most luxurious and relaxing treatments. Spray on the body after a bath or a shower, before going to bed. You will need a spray bottle for this. Mix with hot water, use in a compress on a tight muscle or painful joint. Do not use heat on areas of acute inflammation and immediate injuries. Use 2 handfuls in a very warm foot bath. Use at least 300-500g of magnesium flake per bath. 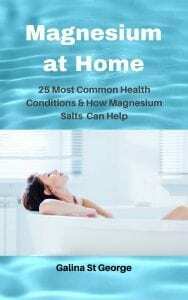 The more magnesium in the bath the more effective its absorption will be. Note: Some people suffer from skin sensitivity, and magnesium baths (as well as other applications) can result in the skin becoming dry and itchy. 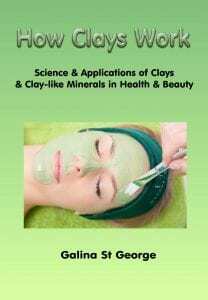 In such cases adjust the strength of magnesium solution applied on the skin directly, and use a natural moisturiser to soften and hydrate the skin after a bath. 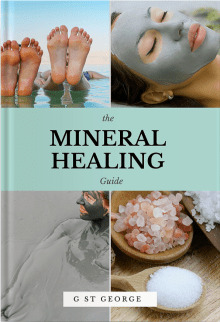 To buy magnesium oil “Bishofit”, Epsom salt or magnesium flakes, visit saltsclaysminerals.com. » Muscle Cramp? Will Magnesium Help? Considerably, the article is really the freshest on this notable topic. I concur with your conclusions and also will thirstily look forward to your forthcoming updates. Saying thanks will certainly not just be enough, for the exceptional lucidity in your writing. I definitely will instantly grab your rss feed to stay abreast of any updates. Authentic work and also much success in your business dealings!